Perfumes for women are generally categorised into four types of scents; Floral, Sweet, Fruity or Exotic. There are hundreds of scents in the world, each with their own unique blend of the four main scents, so be sure to look at the notes of the fragrance (notes is just a fancy word for scent!). 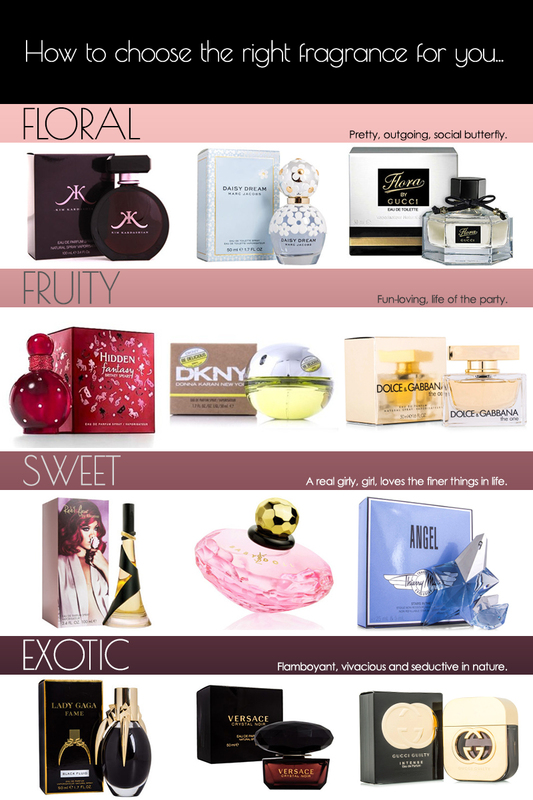 Shop one of these featured perfumes online for a great price! The Black Luxe List – Get The Look! 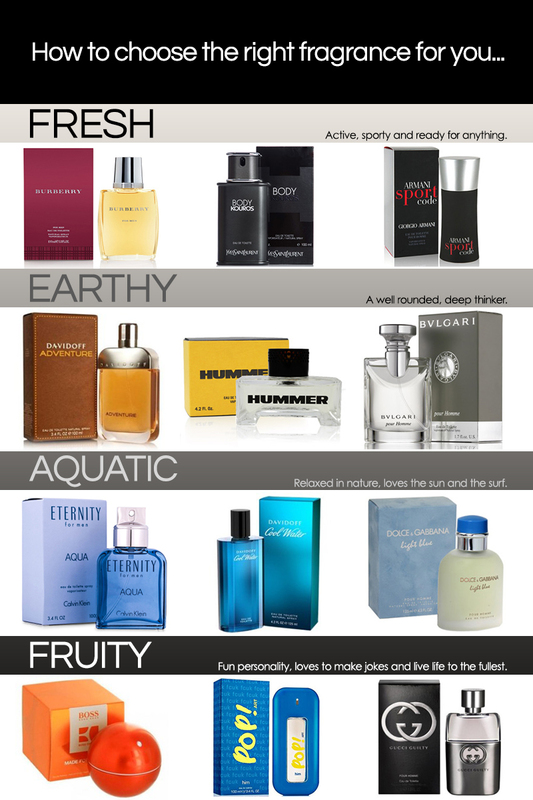 For the men, choosing the right cologne can be intimidating, especially if you’re not one for the beauty department! Picking a scent that you think smells ‘spot-on’, only to be told by your partner that you smell like a grandpa is never a good outcome. So make sure your picking the right notes for your style. Discover fresh designer fragrances at an affordable price! The more you wear a perfume or fragrance, the more common the scent becomes to you and it can be harder for your nose to pick up the scent when you spray. This often leads to people spraying four or five times which is way too much! Stick to one or two sprays maximum for the perfect strength. It’s a great idea to have two different scents to rotate between from time-to-time. That way you will maintain a great scent that is more noticeable to the people around you, as you keep changing it up. Be sure to keep two scents that make similar personal statements but give a good whiff of variation. The best places on your body to spray perfume are on your neck, wrists and behind your ears. Your scent will last much longer and give an all day freshness. What’s your signature scent? Share with us in the comments! Looking for some Pinspiration? Cruise on through to our Guy Style and Top Beauty Picks Pinterest Boards for some style savvy ideas!